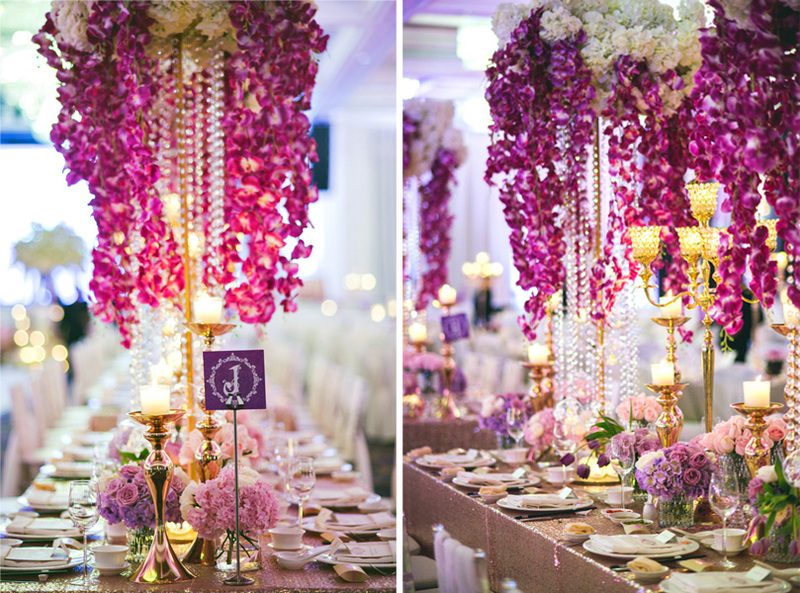 The bridal table’s centrepiece is a crowning glory. 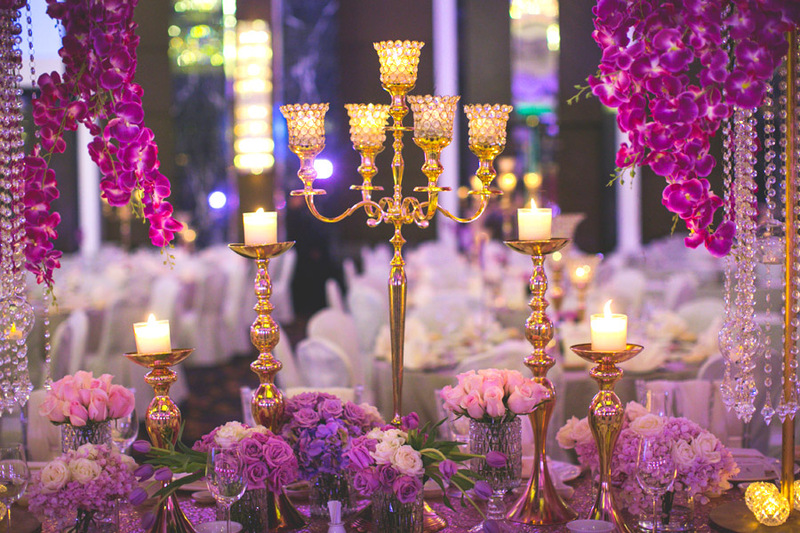 The flowers, colours, lighting and textures that evening were breathtaking – thank you to Jon Low Photography who captured their lush beauty so brilliantly. 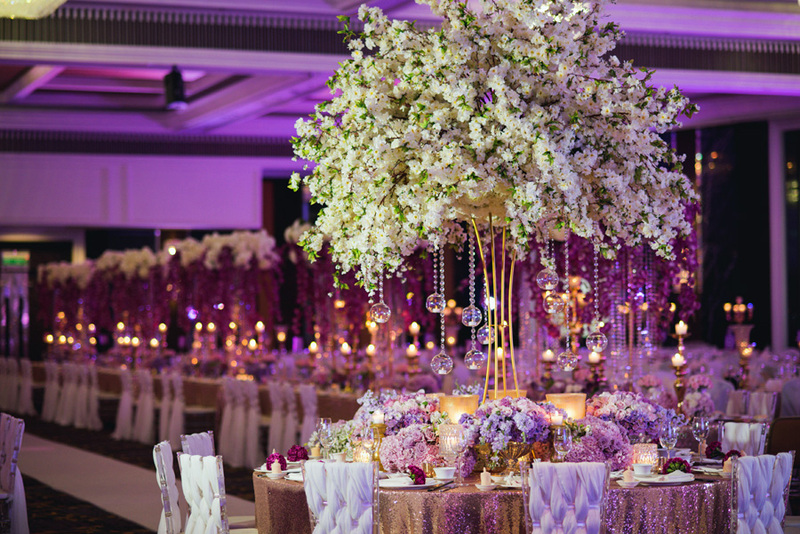 The flowers at the ballroom entrance was also a beautiful backdrop for photos – one of our couple’s favourite arrangements of the evening. Jwin and Peilu got to know of us through Peilu’s brother, whose wedding we decorated some time ago, but it was our friend Lane, from MY Wedding Planner, who brought our couple to meet with us. 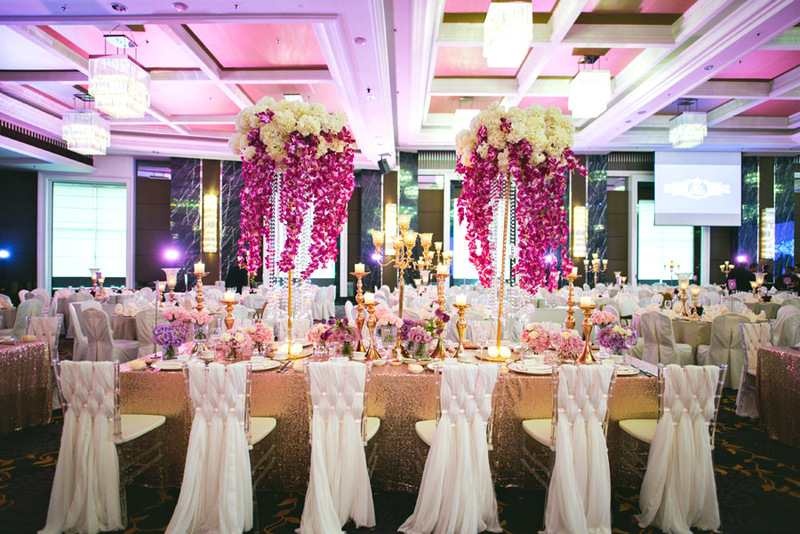 The viking tables on either side of the aisle are a regal sight to behold. A closer look at the guest tables’ arrangements. Decorating with varying heights and textures. 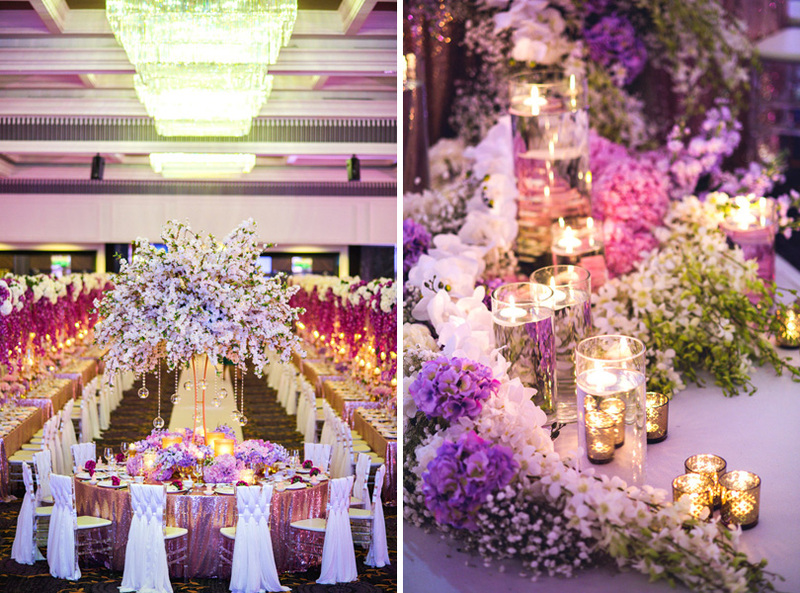 Shades of purple, pink, white and gold. 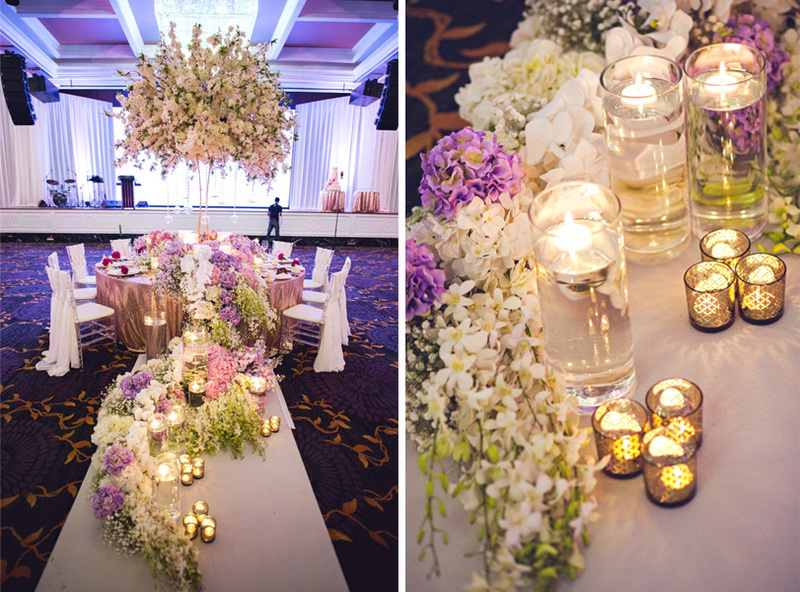 Our bride had some ideas for her table at the reception, and we were happy to help her create this look that added so much warmth, elegance and beauty to the ambience. 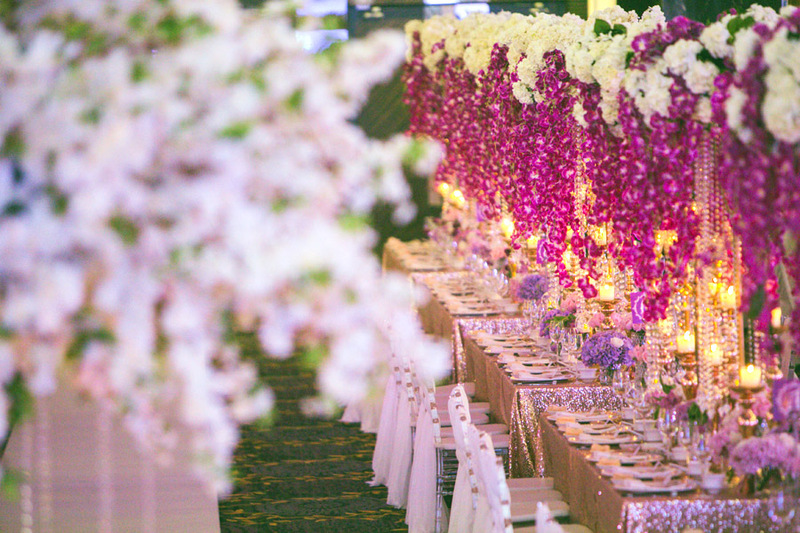 …with luxuriant blooms cascading down the table to the floor! 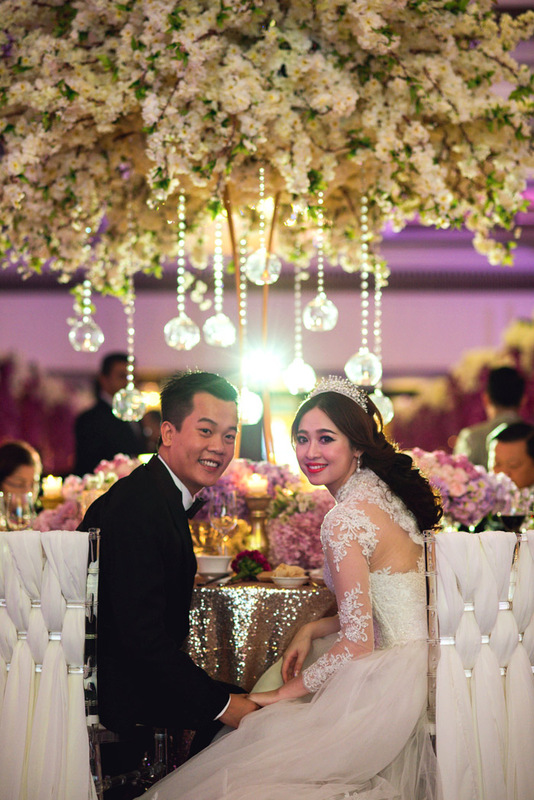 Jwin and his beautiful bride. 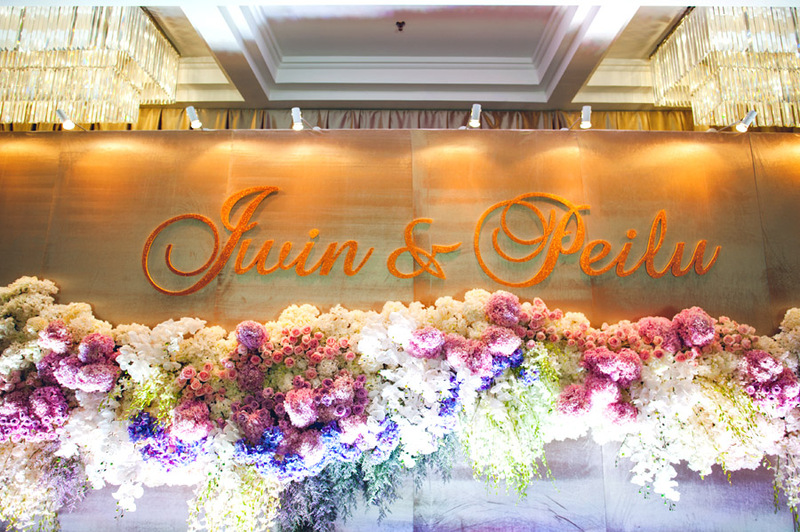 Thank you so much, Jwin and Peilu, for letting us decorate your wedding reception and for sharing your big day with our dear readers! 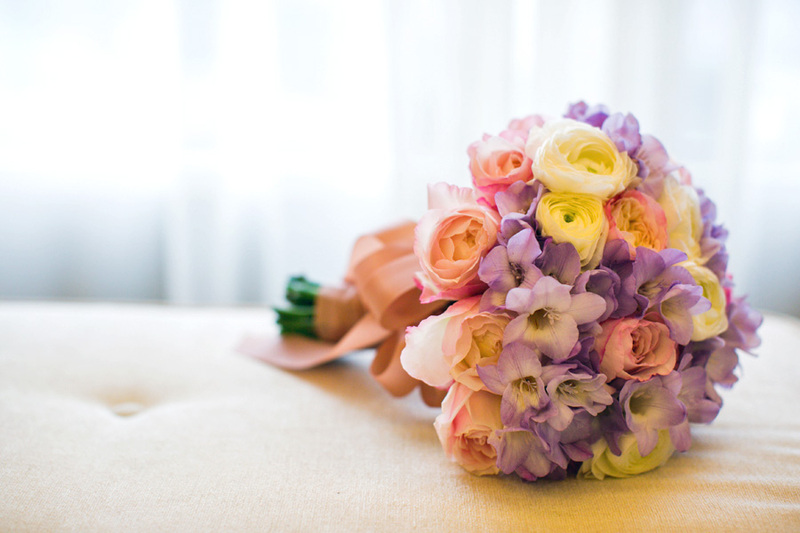 We wish you both the best in your wonderful new journey together. “We had a great experience with Wishing Tree, who we will definitely recommend to our friends for their weddings. We were quite concerned about the time that we had left to plan the decor, as we approached Wishing Tree one month before our wedding! We thank the team for doing an amazing job on such short notice. Big thanks to our wedding planner, Lane, and also Lily, for their professionalism and a job well done and with all their efforts put into our big day. When planning your wedding decor, it’s important to stick to your budget, and we truly appreciate Lily’s great ideas to help us stay within our budget when ours didn’t.